In the first of the two part series on Royal Wedding Dresses, I discussed five wedding dresses of the Royal brides from the previous centuries starting with Queen Victoria who had married Prince Albert in 1840 through to the Duchess of Windsor who married the Duke of Windsor in 1937. In the second part in the series, I will discuss six more recent wedding dresses starting with Princess Elizabeth who married Prince Philip in 1947 (they will be celebrating their 68th wedding anniversary this November) through to the Duchess of Cambridge, the former Kate Middleton, who married Prince William in April 2011. Princess Elizabeth (the future Queen Elizabeth II) married Philip Mountbatten (now known as the Duke of Edinburgh) on November 20, 1947 at Westminster Abbey in London. At the time of the wedding, World War II had recently ended but due to food and supply shortages coupon rationing was still in effect. 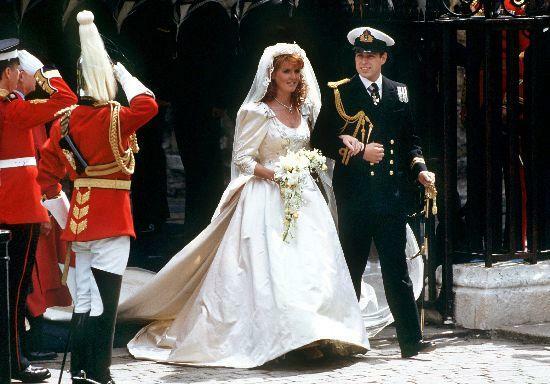 After the engagement was announced, thousands of clothing coupons were received at Buckingham Palace to assist in making a wedding dress fit for a Royal Princess but it was illegal to transfer coupons. For this reason, the coupons were rightfully returned with a letter from Princess Elizabeth thanking the people for their generosity and thoughtfulness. 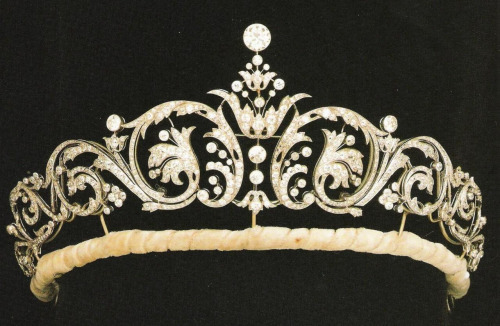 Special Note: Due to the recent war and the ongoing hostilities with Japan, silkworms from China were used to manufacture the silk for Princess Elizabeth’s wedding dress. After the wedding, the dress was donated to the London Museum but sadly throughout the following years the choice of the silk material has proven to be a poor one and the fabric has severely deteriorated caused by the weight of the heavy embroidery and beading. 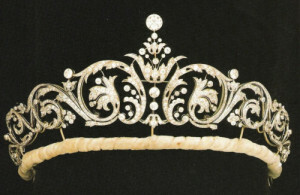 To complete the bridal ensemble for her wedding day, Princess Elizabeth wore a white silk tulle veil held in place by the diamond King George III Fringe Tiara. 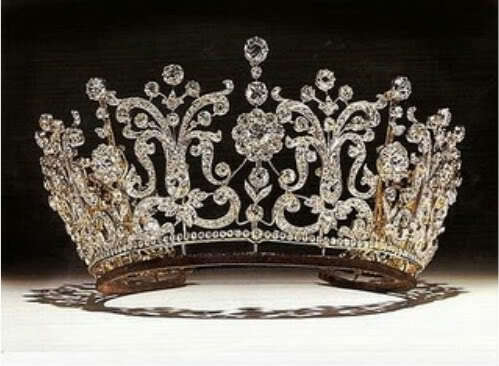 Unfortunately, while preparing for her wedding day the frame of the tiara broke in half but luckily the royal jeweler was called in to quickly make the repair before the ceremony. 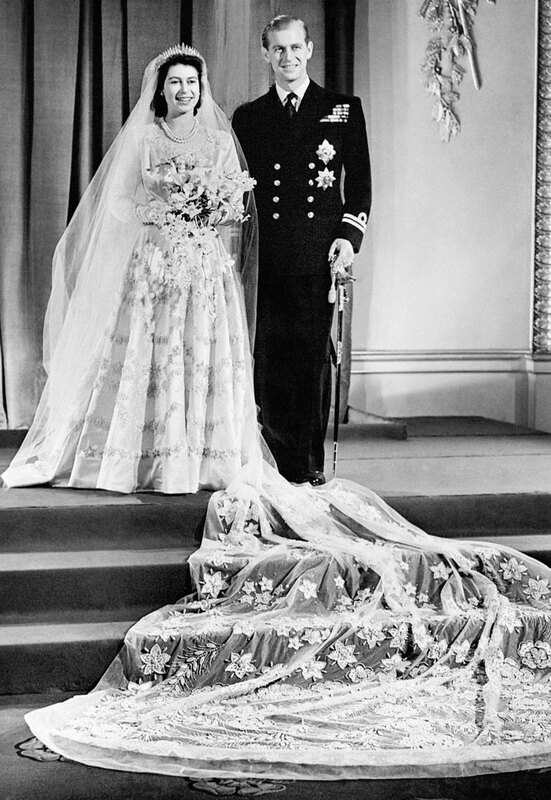 Royal Note: Princess Elizabeth was the first royal bride that wore her bridal veil covering her face. Princess Elizabeth’s bridal bouquet was made by the local British florist Longmans from three different kinds of British-grown orchids; cattleya, odontoglossum and cypripedium. Per Royal tradition dating back to Queen Victoria, a sprig of myrtle was picked from the garden at Osborne house and added to the bouquet. Princess Margaret and Anthony Armstrong-Jones (later Lord Snowdon) were married on May 6, 1960 in Westminster Abbey, London. Since the bride was the sister of the Queen, the wedding was a grand event which was celebrated with the pomp and circumstance that the British are known for and the streets of London were crowded with people that had gathered to see the festivities. Norman Hartnell, a favorite designer of the Royal family, was commissioned to create Princess Margaret’s wedding dress. 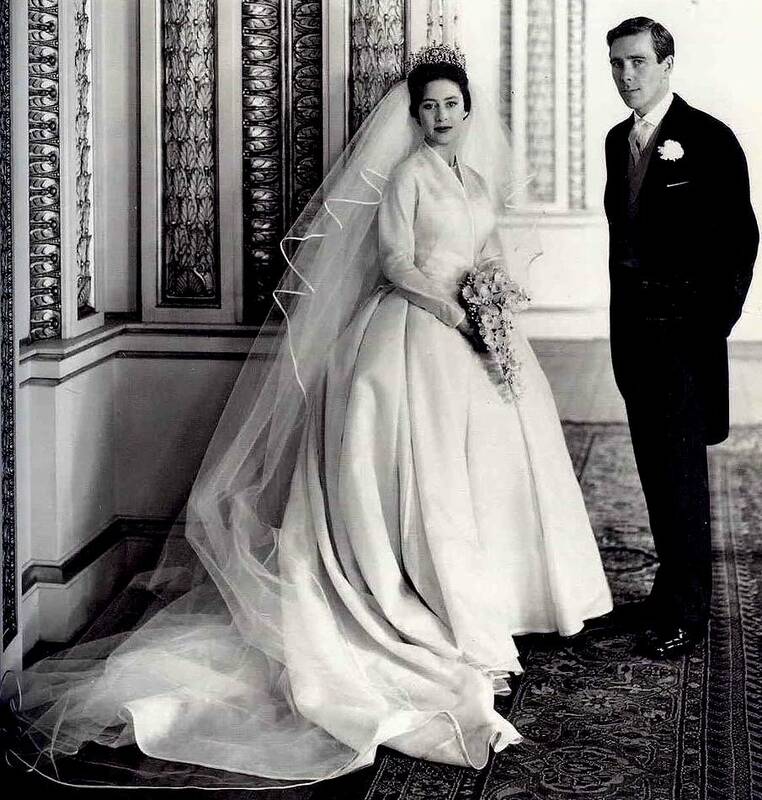 Because of Princess Margaret’s petite figure, the dress was specifically tailored to be simple, sophisticated and classic per the 30 year old bride’s request. 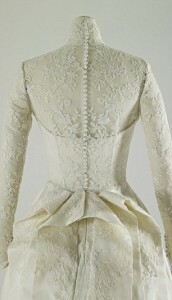 The bodice featured long sleeves with a deep v-neckline, tapered bodice to accent Princess Margaret’s tiny waist. The full skirt used over 32 yards of silk organza with several layers of tulle underneath. Because of the fullness of the skirt, Hartnell cleverly designed a split at the back of the skirt to accommodate the confines of the Glass Coach that would take the bride from Buckingham Palace to the Abbey and this little trick prevented the dress from crushing or creasing the material. To complete her bridal ensemble, Princess Margaret wore a veil made of tulle and boarded with ivory satin which was secured in place with the beautiful Poltmore Tiara to compliment her high bun hairstyle which was chosen specifically to add height to the petite bride. Royal Note: Princess Margaret’s wedding dress now belongs to the British Royal Collection. 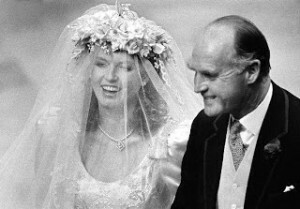 Also, many years later when her son, Vicount Linley married Serena Stanhope in October 1993, the bride chose a wedding dress style similar to that of Princess Margaret’s dress and she even wore her hair in the same high bun hairstyle which she wore with the Lotus Flower tiara that she had borrowed from her new mother-in-law. 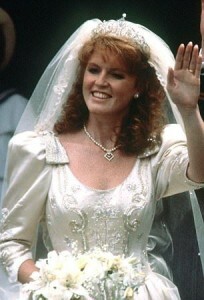 The wedding of Sarah Ferguson and Prince Andrew took place on July 23, 1986 at Westminster Abbey. The designer, Linka Cierach, created a classic dress made from ivory duchesse satin which featured a deeply scooped neckline, fitted bodice, three-quarter length slightly puffed sleeves with bows at the shoulder and a full skirt. The bodice of the dress was beautifully hand embroidered with intricate beadwork and the 17 foot train featured intertwined A and S initials for the bridal couple, ship anchors to honor Prince Andrew’s naval career and bumblebees and thistles which are symbols used on the Ferguson family crest. In the months leading up to the wedding day, the press and the public had increasingly commented on Sarah’s fuller figure especially when compared to the much slimmer Princess Diana and for this reason Sarah worked very hard to loose over 25 pounds. Cierach had created a dress that was perfectly tailored and accentuated Sarah’s smaller waistline. Sarah wore her red hair in long loose curls and her bridal veil was attached to her head with a floral headpiece when she arrived at the abbey. She carried a lovely S-shaped bouquet made of gardenias, cream lilies, yellow roses, lilies of the valley and the traditional sprig of myrtle. Later after the vows and signing the registry, Sarah removed the floral headpiece and exchanged it with a diamond tiara which had been purchased for her from Garrard’s by her new mother-in-law, Queen Elizabeth. 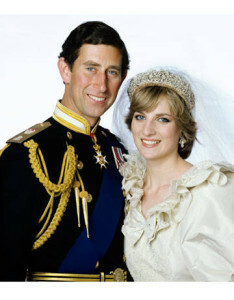 Camilla Parker-Bowles married Prince Charles on April 9, 2005 at the Windsor Guildhall, later that same day in St. George’s Chapel there was a religious blessing followed by a formal reception at Windsor Castle. 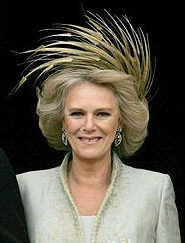 For the civil ceremony, Camilla wore a cream silk chiffon dress with a matching coat and she wore a Prince of Wales feather brooch attached to the coat lapel. 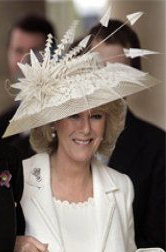 She also wore a large Philip Treacy cream wide-brimmed straw hat covered with ivory French lace and accented with feathers. 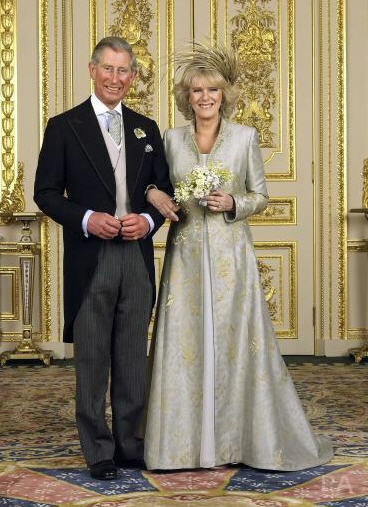 To complete her civil ceremony outfit, Camilla choose to wear L.K. Bennett shoes in an almond shade and a Launer purse made of embossed leather and lined in suede. For the Church of England blessing in St. George’s Chapel, Camilla wore a Robinson Valentine long pale blue and gold embroidered damask coat over a matching chiffon gown. To complete her bridal ensemble, Camilla wore an impressive spray of golden feathers also created by Treacy in her perfectly coiffured hair instead of a tiara. Catherine (Kate) Middleton and Prince William married on April 29, 2011 at Westminster Abbey. 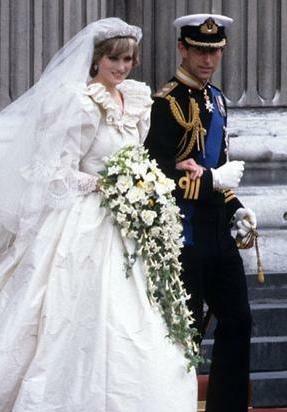 Kate’s wedding dress, much like Diana’s was almost 30 years earlier, was a closely guarded secret. The dress was designed by Sarah Burton of Alexander McQueen. The beautiful dress was made of satin gazar with a fitted bodice, long sleeves that button at the wrist and the skirt was gathered gently at the waist over slightly padded hips that formed a bustle in the back and a 9 foot train featured lace with a floral design of roses, thistle, shamrocks and daffodil which are the National symbols of the United Kingdom. The lovely lace was appliqued by hand onto tulle and then applied to the bodice and skirt of the dress. The stunning dress was instantly compared to that of another royal bride, Princess Grace of Monaco. 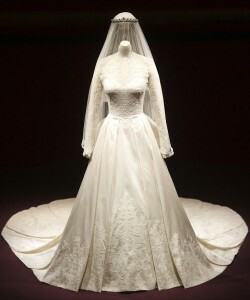 (For more information on the other iconic wedding dress, please click on the link The Wedding of Grace Kelly and the Prince Rainier. In keeping with the bridal tradition of “something old, new, borrowed and blue”, Kate’s bridal attire included the following items: vintage lace was also incorporated into the dress for “something old” as well as a blue ribbon sewn into the bodice for “something blue”. 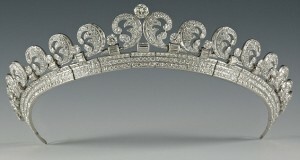 The “something new” was a set of earrings especially commissioned by Kate’s parents for her wedding day and the design came from the newly created Middleton family crest. 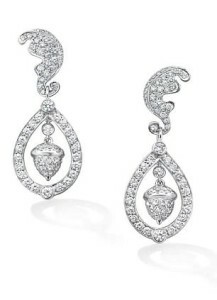 The earrings were 18 carat white gold and diamonds in the form of curved oak leaves at the top and featured a pave diamond acorn suspended in the center of an oval-shape covered in more diamonds. 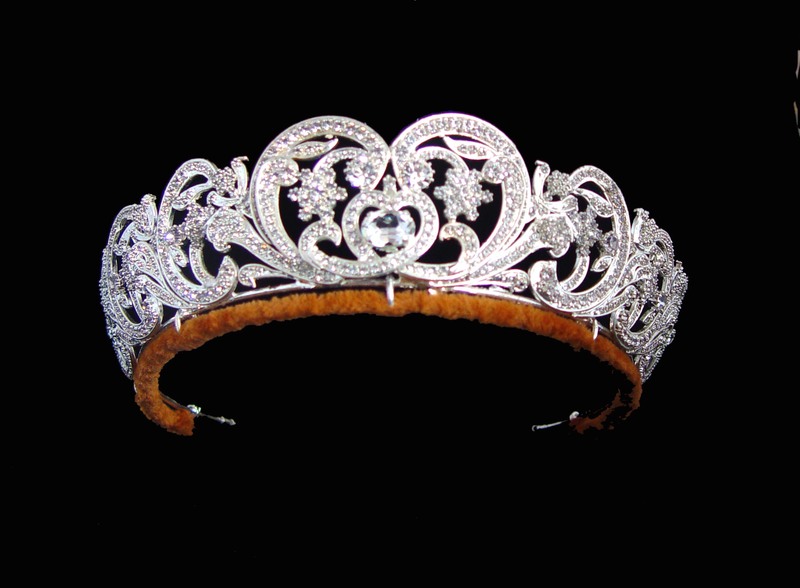 To complete her bridal attire, Kate wore a veil made of silk tulle which was embroidered with lace and held in place by the Cartier Scroll Tiara, also known as the “Halo” Tiara, which was the “something borrowed” from the Queen. 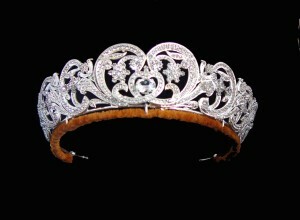 The tiara was originally purchased in 1936 by the Queen’s father (later King George VI) for his wife (later Queen Elizabeth, the Queen Mother). 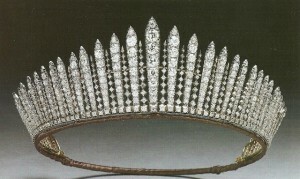 On the occasion of her 18th birthday, the tiara was given to their daughter (Queen Elizabeth II). 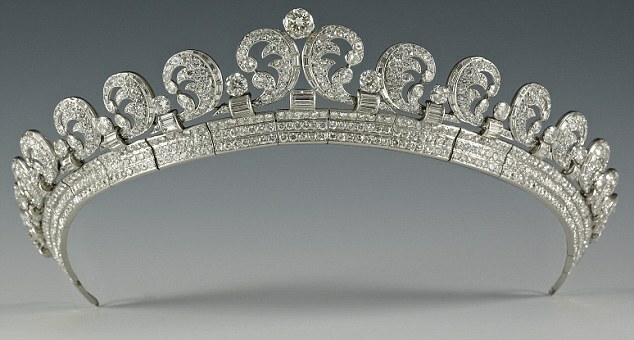 The Queen loaned the tiara to the bride of her grandson, Prince William. The Halo Tiara has 16 decorative scrolls set with over 800 diamonds and compliments the earrings that Kate selected to wear on her wedding day. Finally, Kate carried a bouquet that traditionally “speaks” the Victorian language of flowers. The bouquet that the florist Shane Connolly created included such flowers as the lily of the valley which represented a return to happiness, Sweet William for gallantry, hyacinth for constancy of love, ivy for fidelity and friendship and lastly the tradition sprig of myrtle that is used in all royal wedding bouquet. This entry was posted in Celebration and tagged a brief description of Princess Elizabeth's wedding dress, British Royal Wedding Dresses, British Royal Wedding Dresses Part Two, Camilla Parker-Bowles wedding dress, Celebration, description of Camilla Parker-Bowles wedding dress, description of Kate Middleton's wedding dress, description of Princess Diana's wedding dress, description of Princess Margaret's wedding dress, description of the Duchess of Cambridge's wedding dress, description of the Duchess of Cornwall's wedding dress, Diana Spencer's wedding dress, Duchess of Cambridge's wedding dress, Duchess of Cambridge's wedding tiara, Duchess of Cornwall's wedding dress, Duchess of York's wedding dress, Fringe Tiara, Halo Tiara, Kate Middleton's wedding dress, Kate Middleton's wedding tiara, Poltmore tiara, Princess Diana's wedding tiara, Princess Elizabeth's wedding dress, Princess Elizabeth's wedding dress by Hartnell, Princess Elizabeth's wedding tiara, Princess Margaret's wedding dress, princess Margaret's wedding tiara, Princess of Wales' wedding dress, Sarah Ferguson's wedding dress, Sarah Ferguson's wedding tiara, Spencer tiara, what did Camilla Parker-Bowles wear on her wedding day, what did Diana Spencer wear on her wedding day, what did Kate Middleton wear on her wedding day, What did Princess Diana wear on her wedding day, what did Princess Elizabeth wear on her wedding day, what did Sarah Ferguson wear on her wedding day, what did the Duchess of Cambridge wear on her wedding day, what did the Duchess of Cornwall wear on her wedding day, what did the Duchess of York wear on her wedding day, why did Camilla have two wedding dresses by barbara. Bookmark the permalink. Thank you so much for sharing all this information. 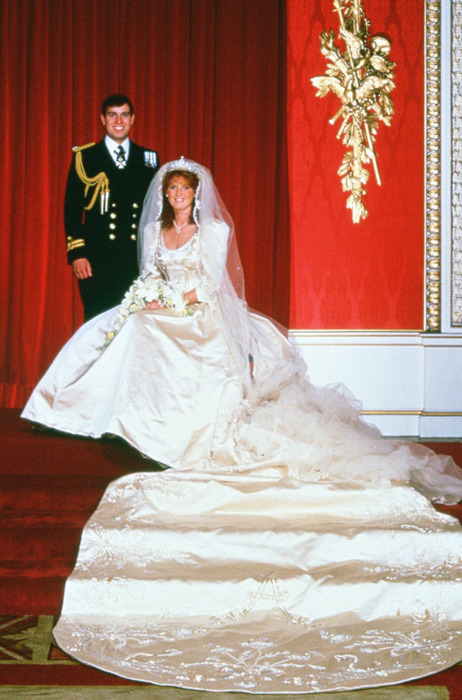 I was researching St Paul’s Cathedral and that took me back to my childhood memories of watching the Royal Wedding on TV. Charles and Di were married the day before my 12th birthday and I cut out magazine and newspaper clippings and glued them in an exercise book. I still rememb er the awe and magic of that day, long after the worms have eaten through the fairytale. Thank you for visiting my blog. I live in the United States and I remember getting up early to watch “the Wedding of the Century”. Fast forward several years later and I was fortunate to visit St. Paul’s Cathedral on a trip to England. I believe Princess Margaret’s wedding gown was actually more regal and lovely than the Queens. Her hair and tiara we very royal as well.